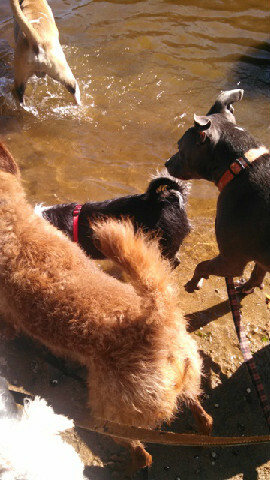 VIP Dogs Learn, Exercise and find Adventure! 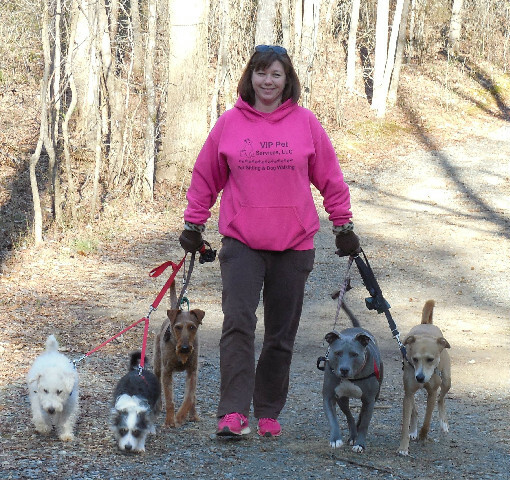 VIP Pet Services goes beyond a typical dog walk. We are passionate about creating well balanced, happy dogs! Dogs need to exercise, explore, play, and socialize daily. Our services were made to meet your dog's physical, social and mental needs in a structured fun way. 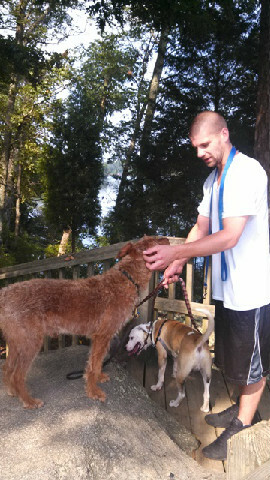 We have something for all types of dogs from high energy social pets to those needing leash manners and socialization. So while you are busy at work or away why leave your dog home with nothing to do? Let us entertain and burn off their energy so you come back to a calm relaxed dog! Weekday Walking service times are from 9:30am & 4:30pm daily. 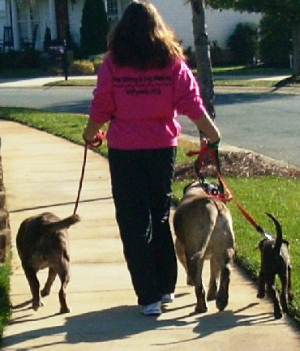 Our dog walking service is best for working owners who want to give their pets daily exercise, socialization and a potty break. We provide a structured walk where leash manners and simple obedience commands are reinforced thereby engaging them both physically and mentally. Book 3 or more walks, or any combination of our other services per week to qualify for discounted "Club" pricing. We offer one hour hikes on local trails and greenways 3 times a week to give your VIP a chance to socialize, explore,(SNIFF!) in nature as well as get a good workout. 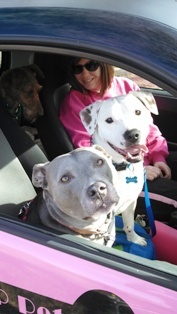 We will chauffeur you pets to and from your home. You will come home to a relaxed happy dog! 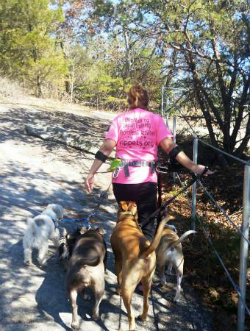 All dogs participating must be well socialized-show NO aggression to other dogs and have good leash manners. If your dog is a puller or dog reactive, we can provide an evaluation and training to assimilate them into our fun pack activities. See our Training Page. One Hour Hikes are on Mondays, Wednesdays and Fridays. Pick time between 9 & 10am. Press the button here to continue onto our booking page and give your dogs the VIP experience!